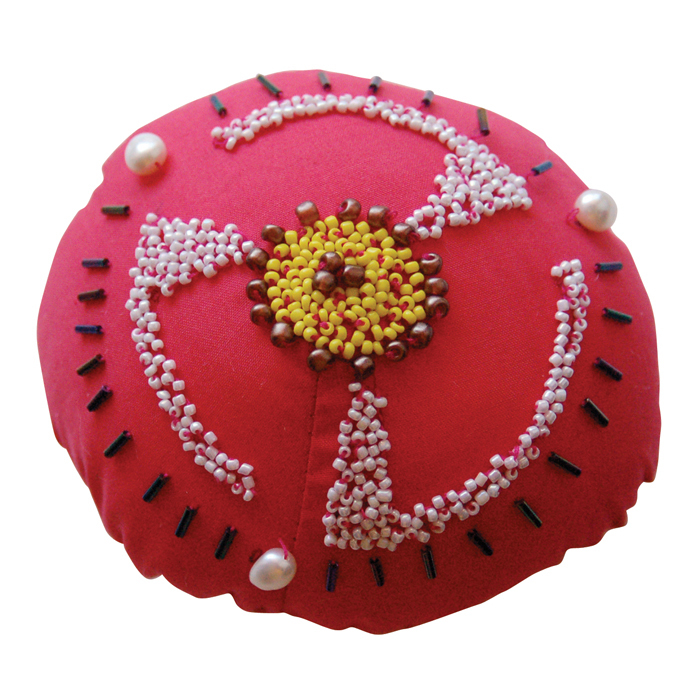 The Rings of Color Badge of Courage brings color and energy to a breast cancer patient.It is a whimsical badge, hand embroidered with a pattern of red and orange beads. 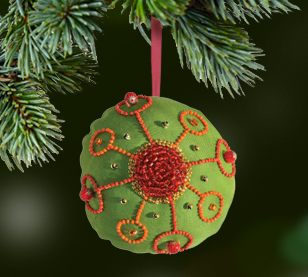 Because of its holiday colors, it makes the perfect decoration for a Holiday tree. 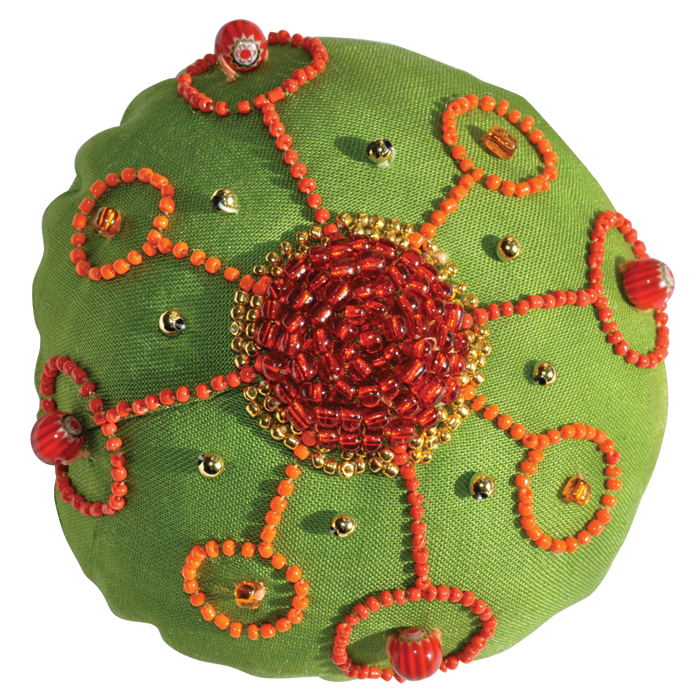 The center of this badge is cone shaped and embroidered with red and gold glass beads, celebrating the shape of the female breast. Glass beads are embroidered in-between the rows of red and orange beads, adding a touch of sparkle. This badge has the choice of the following words: STRENGTH (Eng.) 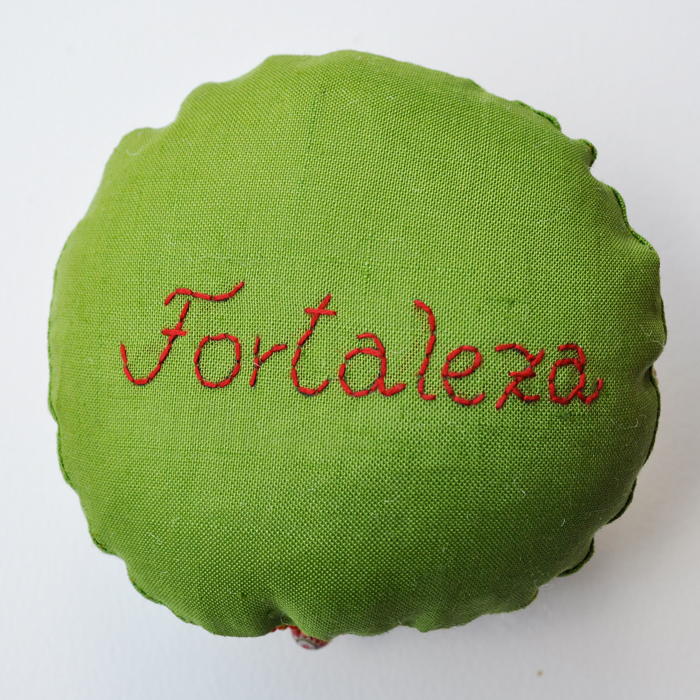 or FORTALEZA (Span.) 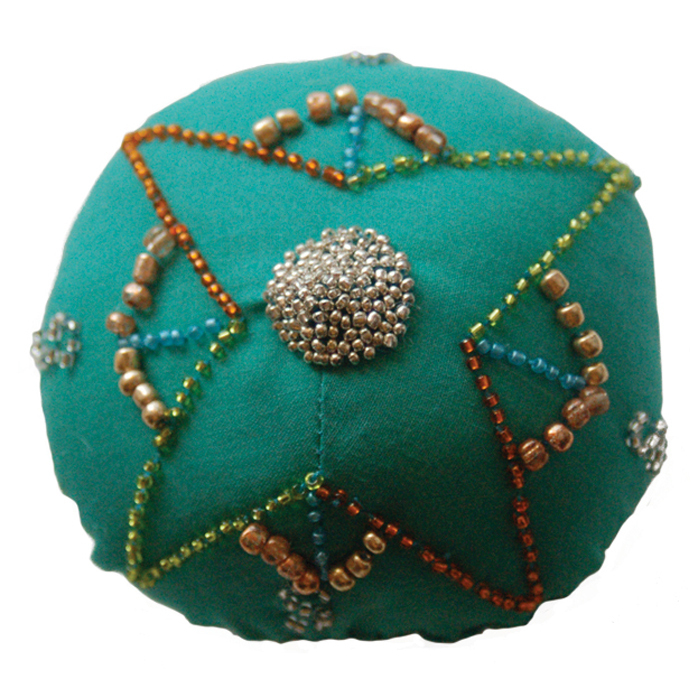 hand embroidered on the back, providing support to women who are undergoing treatment. The Rings of Color Badge of Courage is the perfect gift for a patient with breast cancer. It brings energy and happiness to anyone going through a struggle. 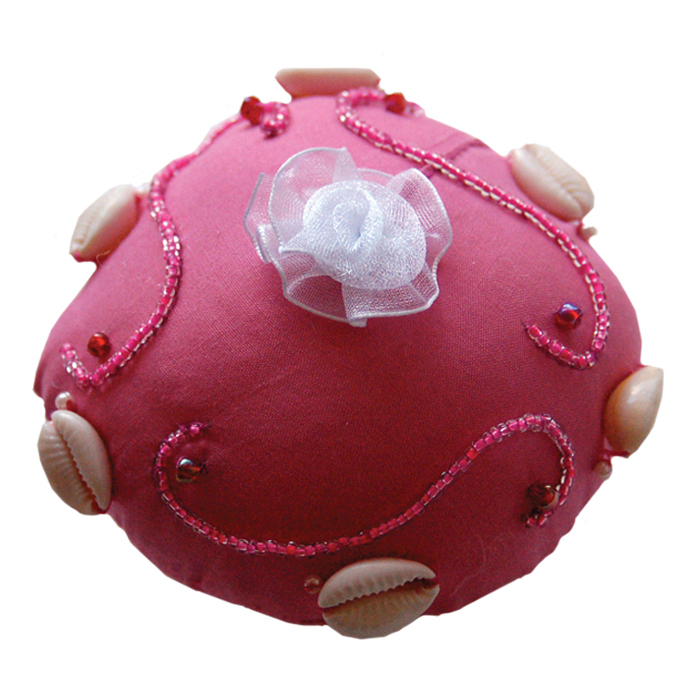 The center is cone shaped and embroidered with red and gold glass beads, celebrating the shape of the female breast. Glass beads are embroidered in-between the rows of red and orange beads, adding a touch of sparkle. 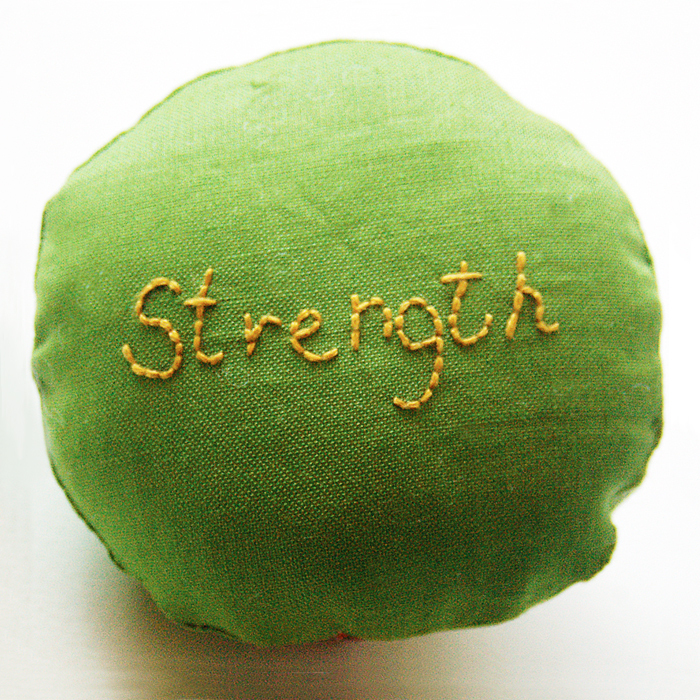 This badge has the choice of the following words hand embroidered on the back: STRENGTH (Eng.) or FORTALEZA (Span.) 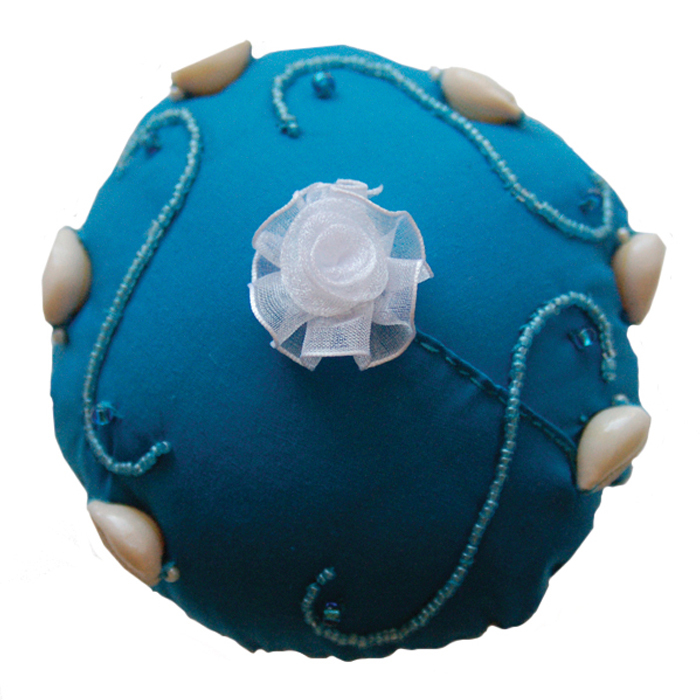 providing comfort to women who are undergoing breast cancer treatment. Due to their handmade nature, no two badges are the same. Handmade in Chile, they provide a fair wage to women whose work is not exploited, but rather, appreciated.